The home of the Dalai Lama might be the biggest draw for travellers to Upper Dharamshala (McLeod Ganj). But for us, the fresh air and post card perfect views in this little Tibetan-exile city was the exact recharge we needed before throwing ourselves back into the crazy sides of India. 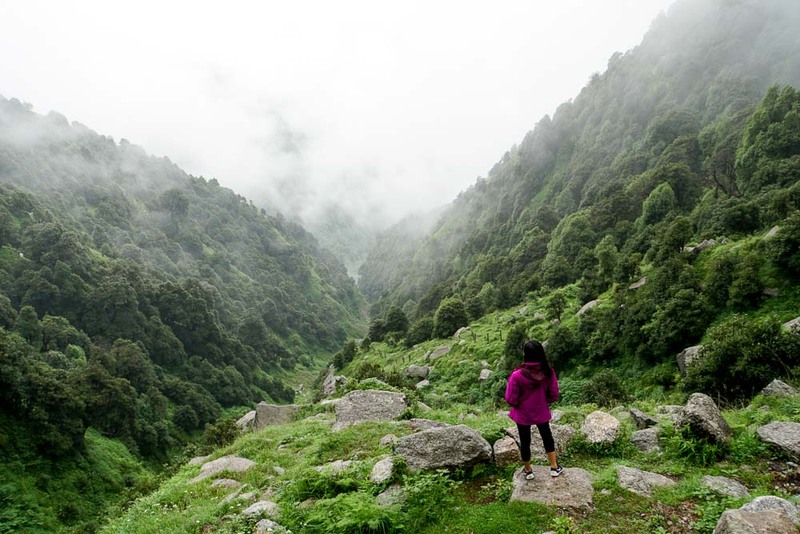 *When travellers talk about traveling to Dharamshala to visit the Dalai Lama, they actually mean McLeod Ganj, a 30 minute bus ride up north from the main bus stand in Dharamshala – where most of the exiled Tibetans live. 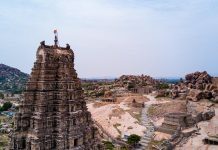 In India, locals often joke that it’s made out of many countries because indeed, the disparity and uniqueness of every state, city or street can make you wonder if you’ve just crossed over an entirely different country. You can experience 40 degrees in a city and wake up to 10 degrees after an overnight bus ride. 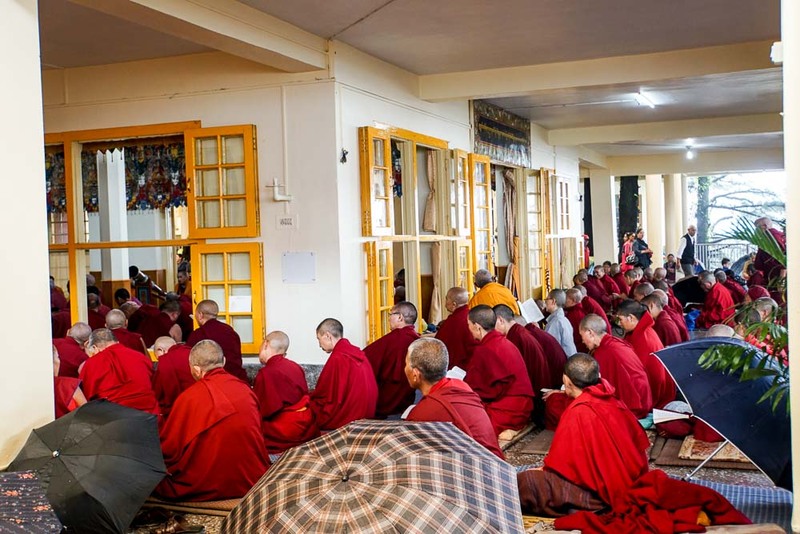 One city speaks mainly tamil, others speak hindi but up in Dharamshala, the main language is Tibetan. 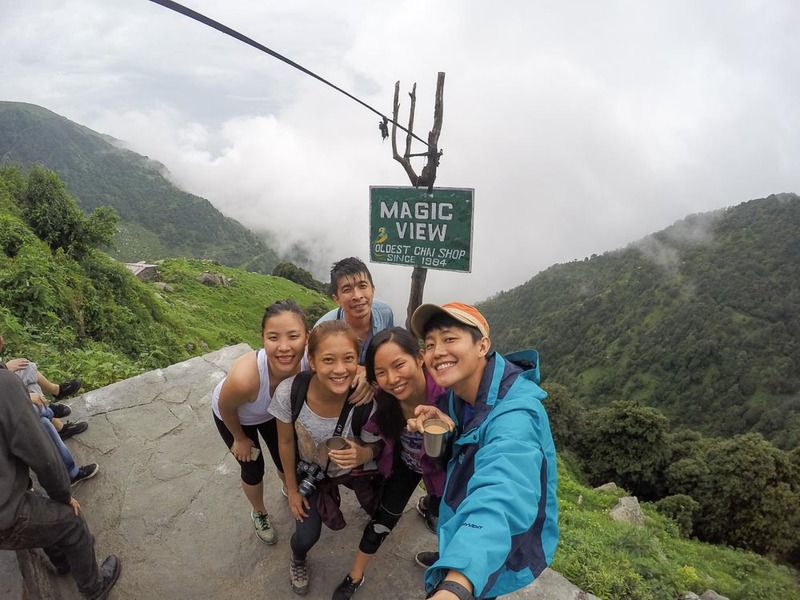 Being at the last leg of our 2 week backpacking adventure, Dharamshala was a relieving change of environment. 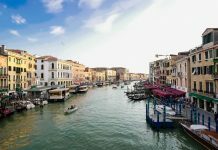 With only 3 days to spare, here’s how we tried to get the most of our break from the hustle bustle of India. Click on the link to jump to a relevant section! 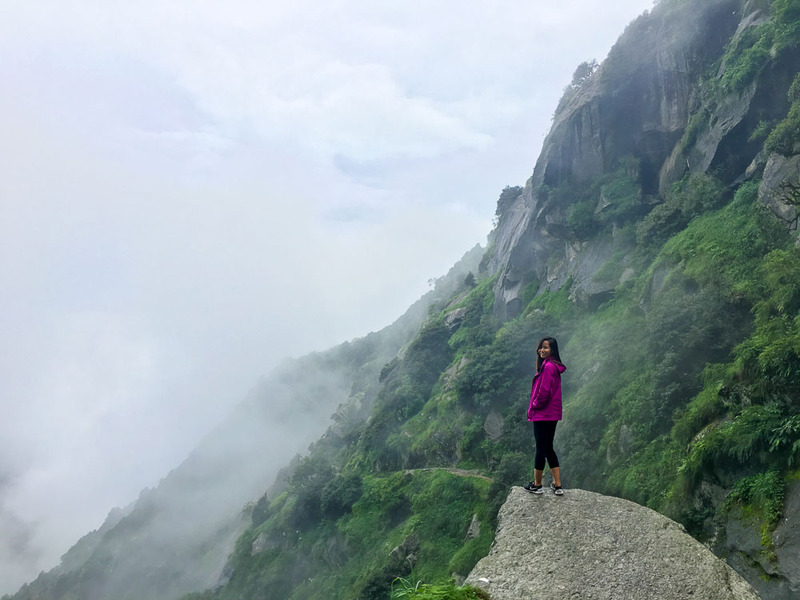 Nonetheless, we thorough enjoyed ourselves up in the mountains climbing alongside waterfalls and stopping to take photos and videos of the dreamy landscapes whenever the thick mist gave way. 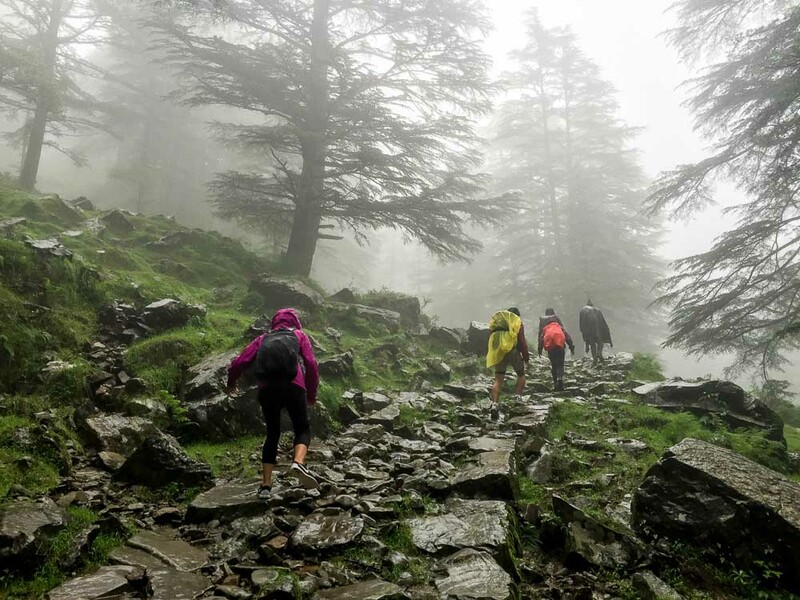 The Triund trek is the most popular because of it’s glamorous views and non technical routes, easily completed even for beginners. Most people reach the flat part of the hill between 4 – 5 hours (although our guide said he does it in 1.5hours :O). The route is straightforward enough to do on your own, but if you’d like to camp a night on Triund, you can hire a guide for ₹1500/pax. The guide will prepare the equipment needed, set up your tents, provide you with sleeping bags and even cook warm, delicious meals for you up on the hill. 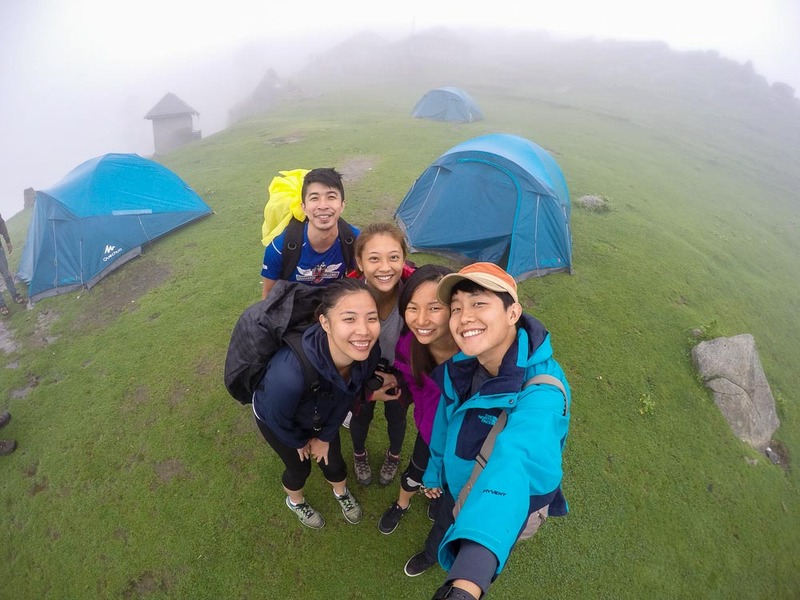 We did ours with Him Treks where they picked us up from the McLeod Ganj Bus stand, let us leave our big bags at the Guesthouse before taking us up on the Triund Trek and taking care of our camping needs. 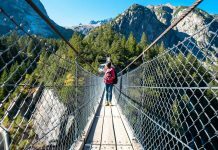 Various shops in the main city also offer guided hikes to Triund and further up north ranging from day hikes to a week up in the mountains. The Tsuglagkhang Complex (also known as the Dalai Lama temple) is one of the must-visits when you’re visiting McLeod Ganj. Although the star of the compound is often travelling the world giving talks, check out the Dalai Lama’s schedule and you might be lucky to catch him while you’re in town. Unfortunately, we missed it by a mere 2 weeks. But even without his presence, it was a nice peaceful walk around, listening to the Tibetans’ morning chants. 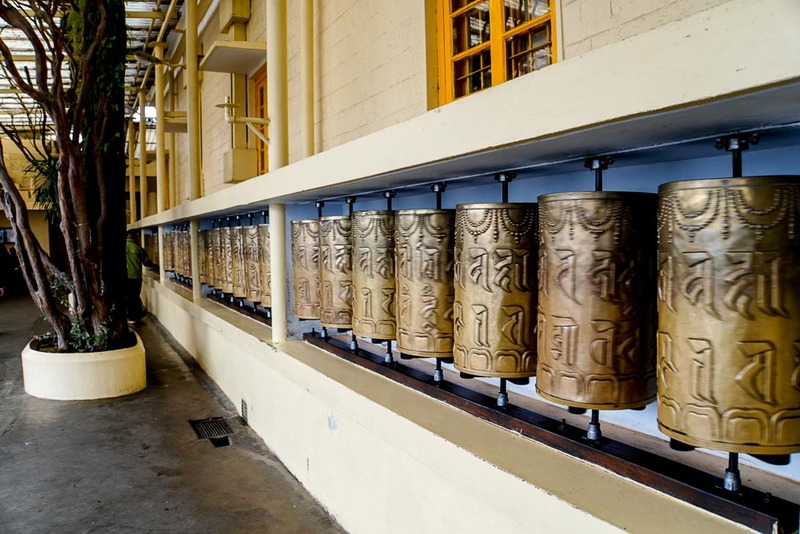 On the second floor, look out for the Mani Prayer wheels – usually found at most Tibetan temples. Spinning the wheels in a clockwise direction is believed to earn spiritual merits and blessings from the mantra (Om Mani Padme Hum) written a thousand times inside each wheel. 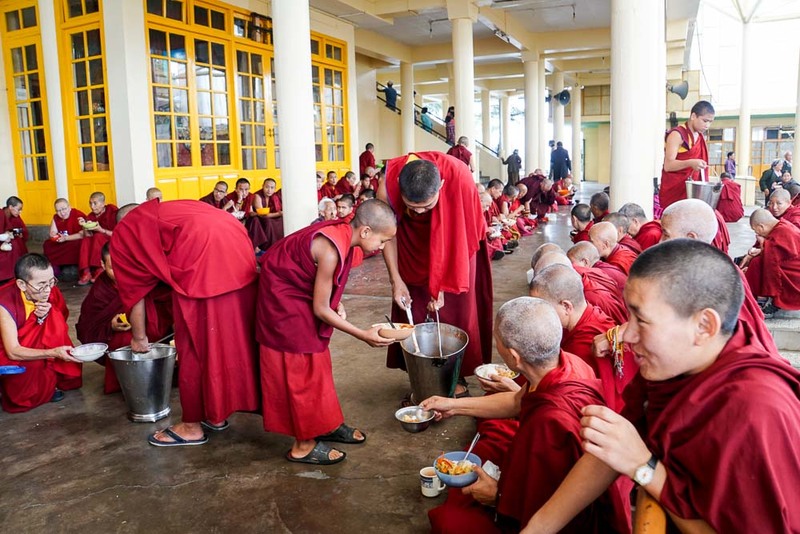 During lunch, you can see the monks and local Tibetans leaving the prayer compounds and heading towards the lower floor with their plates and plastic containers — free food is served by temple monks and volunteers. While most people usually visit Rishikesh for yoga (a 13hour bus ride from McLeod Ganj), Dharamshala too has a couple of reputable yoga schools offering 200/500hour teacher training courses as well as the daily drop-in class. Look out for leaflets pasted around the main square and you’ll find anything from Ashtanga and Iyengar to Hatha and Vinyassa classes ranging from ₹200-500. Most of the action happens at the Main Square – a 5 minute walk from the McLeod Ganj bus stand. Here you’ll find rows of Tibetan cafes, bakeries, bookstores, outdoor shops, Tibetan apparel and accessories. This area is also where you can book bus tickets out of the city, arrange for treks and even get a massage! It’s really the one stop place where you can get everything you need. After our 2D1N trek to Triund, we were badly craving some relief on our sore muscles. Thankfully there are many little massage shops littered across the main street! For just ₹250, we had a pretty good 30 minute back and shoulder session. The masseur seemed to know where exactly needed more kneading and just the right amount of pressure as our muscles were extra tough from the previous day. We walked out with a renewed feeling of zen, ready to explore the rest of the street. An obvious find here are books on Buddhism, the Dalai Lama, other authors who have come across the Dalai Lama, yoga and alternative therapies. However, there are also very interesting topics from best selling books on business to self help to psychology. The best part, the books are so much cheaper than back home! The 5 of us ended up walking out of the store with about 20 books that cost between ₹100-600. 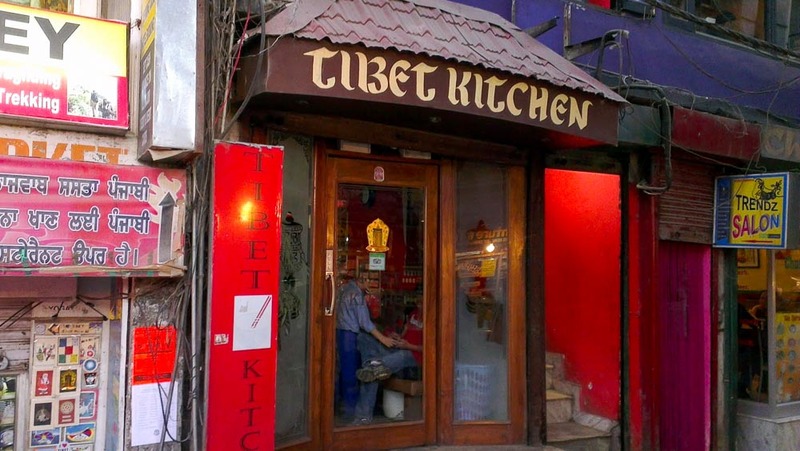 Here you can get your fill of Tibetan cuisine! Definitely try the fried and steamed momos, thukpas (tibetan noodle soup dish), and thentuk (pulled noodle soup). While food is generally cheap in India, we were more than surprised when our bill only came up to ₹100/pax (S$2)! Serving simple but delicious breakfast items like omelettes and pancakes, we even ordered second rounds before heading out to explore the city. 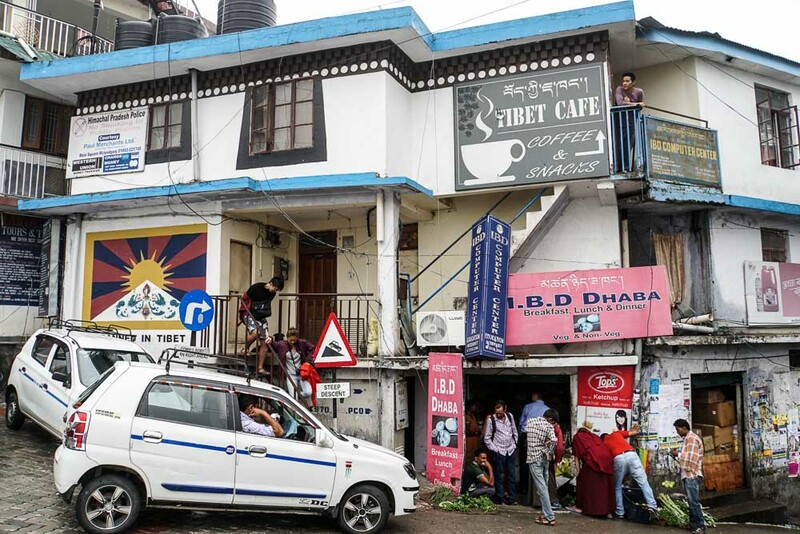 How to get there: Spot its sign “Tibet Cafe” on the second floor of the building next to the Dalai Lama cafe. Craving for something warm and soupy, the guesthouse owner overhead us and enthusiastically brought us here – declaring it being his favourite restaurant in the whole McLeod Ganj. In its clean, warm and homely setting, we happily chowed down our warm bowls of udon (with a slight Tibetan influence) and delicious handmade sushi rolls. 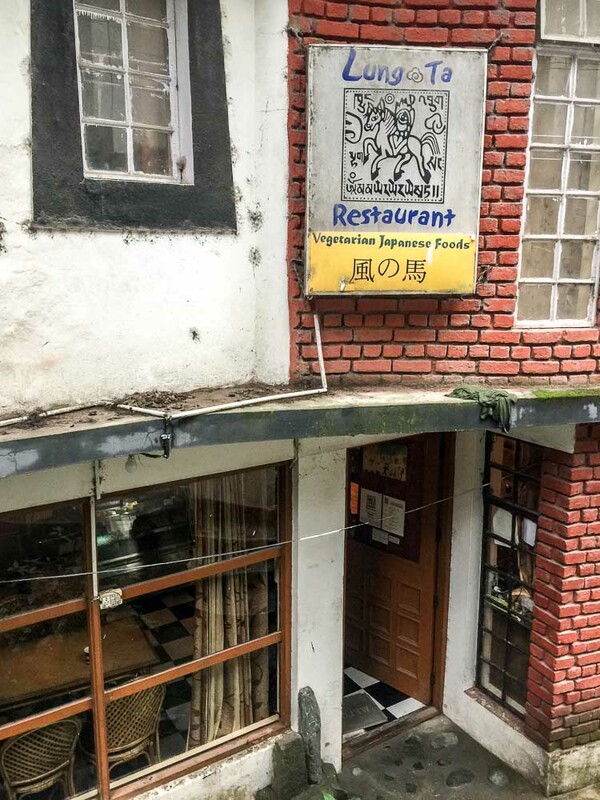 We hear the place was opened by a Japanese-Tibetan family who had been living here for many years. 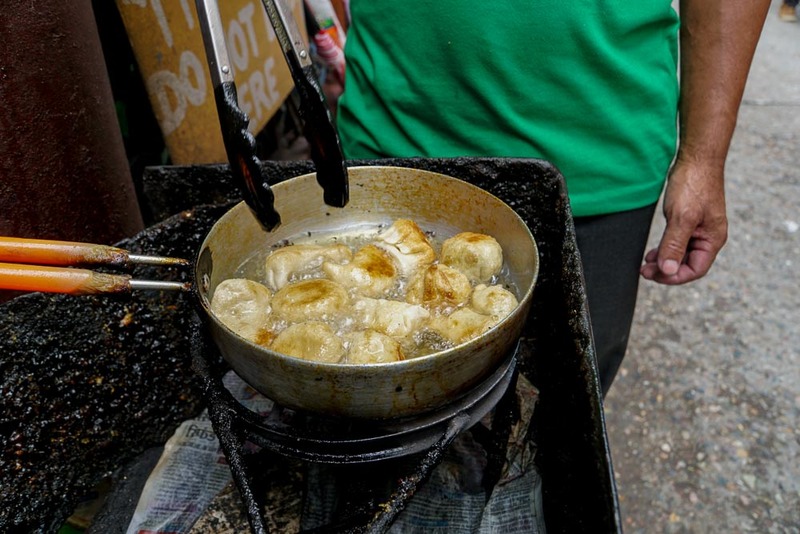 If you’re looking for a quick momo snack, you can easily find individual street stalls steaming and frying them on the spot! Our favorite was one that sold Aloo(potato) momos which we later regretted not ordering more for the road. Remember to ask for chilli! 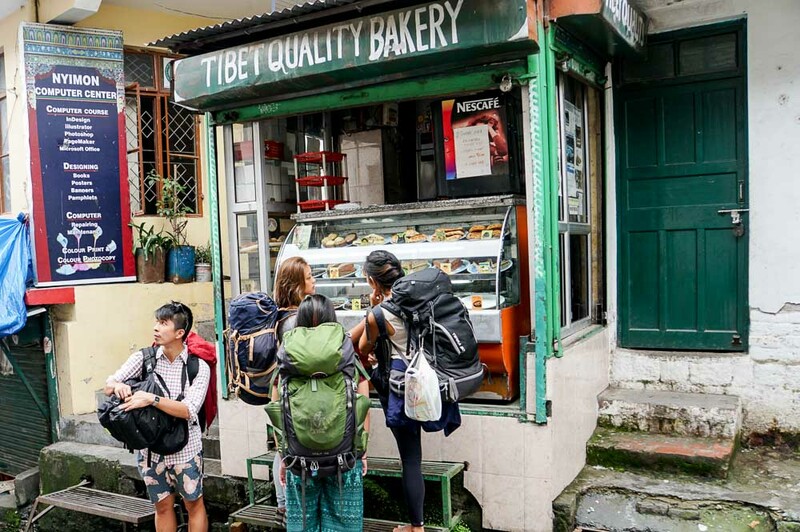 You’ll be spoilt for choice when it comes to bakeries on this street but we hear the Tibet quality bakery is a top favourite! From Yak cheese cake to freshly baked garlic bread, the waft that comes out of this little store is unmissable when you’re passing by. We especially loved their “magic brownie” (no herbs involved here), even better when warmed up before being served! 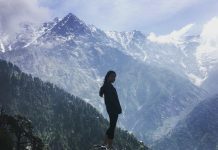 Because of its relatively cool all year round weather, many travellers arrive in Dharamshala just to spend some time up in the mountains. If you didn’t come prepared with camping gear, fret not as there are plenty of outdoor shops where you can stock up on. Alternatively, hire a guide that will settle all equipment and food for you! 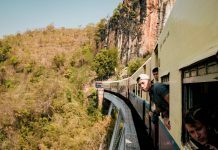 Hostels are our go to option whether it’s travelling in Japan or like most of our trip in India. However, Dharamshala seems to be currently lacking on this option – although we heard that Zostel will be open there soon. Our next best bet was guesthouses which are usually double bedrooms with an attached toilet and cost anywhere between ₹300 – 1500/room. There’s a couple conveniently located along Jogiwara Road just down from the main square. The most popular way to get there is probably via an overnight volvo bus from the ISBT (at Kashmere Gate Metro Station). These buses are air conditioned and the seats recline really low for a comfortable sleep on the 12 hour journey. Tickets can be bought on the same day from the ISBT itself. Look out for the stall that says Himachal Pradesh and ask for tickets to McLeod Ganj. Pathankot is at the meeting point of 3 major northern states: Punjab, Jammu – Kashmir and Himachal Pradesh. 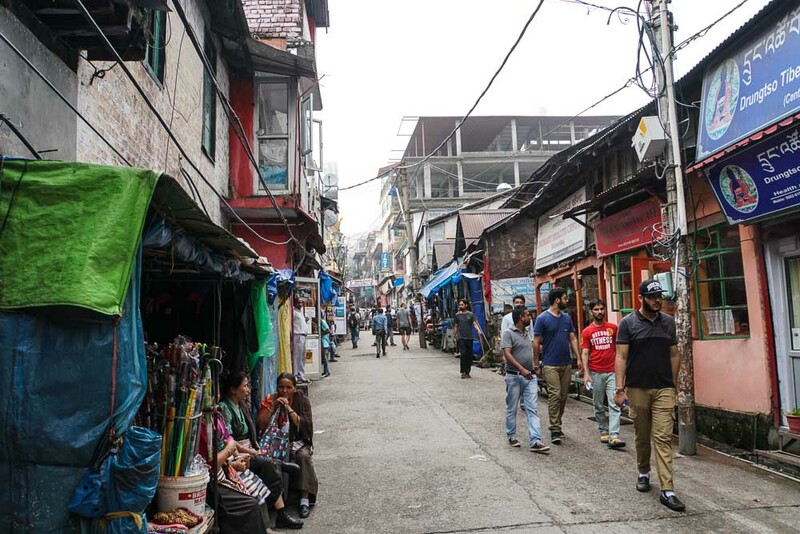 Once you find your way to this city, you will find numerous buses and shared taxis headed to Dharamshala. 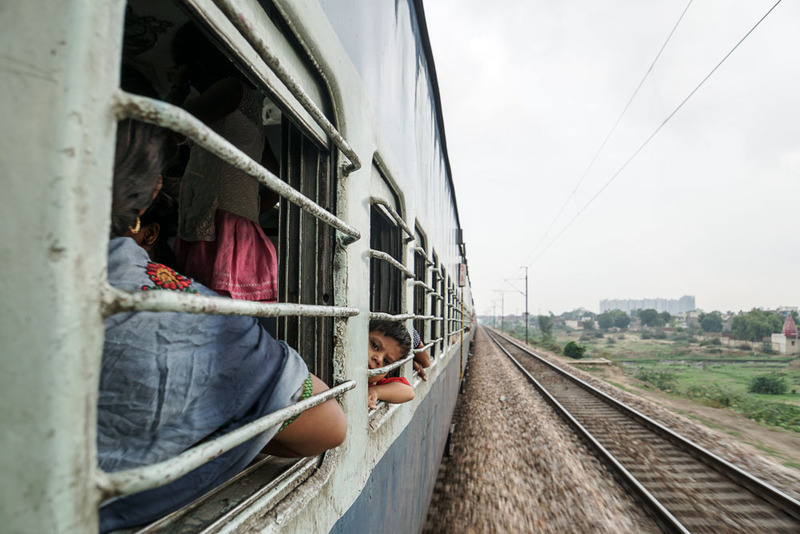 There are more than 10 trains leaving Delhi for Pathankot or Chakki Bank (a 30 minute bus ride to the Pathankot Bus Stand) everyday and tickets can be bought at the International Tourist Bureau in New Delhi Railway Station. Other than trains, there’s also many buses that leave for Pathankot daily. 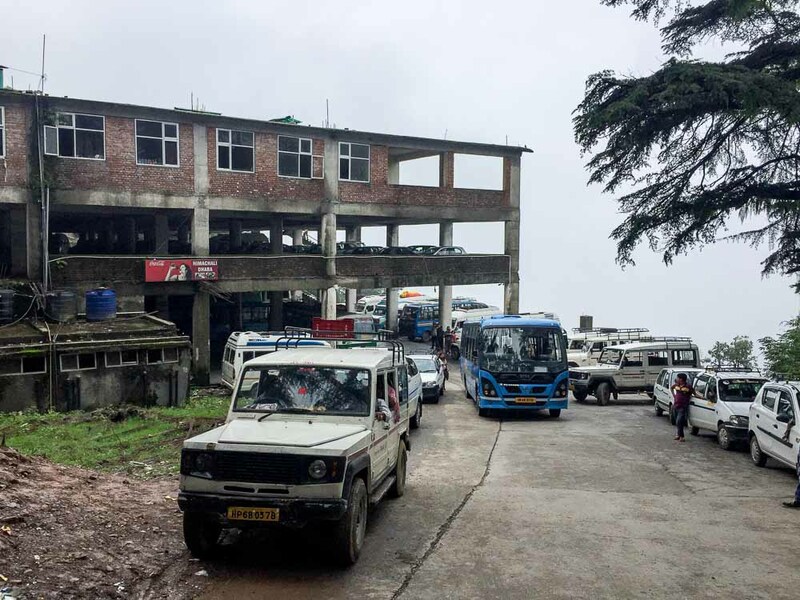 Once you’ve arrived at the Pathankot main bus stand, just hop on one of the buses that leave for Dharamshala/McLeod Ganj. Buses are frequent and tickets can be brought at the bus stand upon arrival. Do note that these public buses can be quite crowded and are without a/c. Also known as Kangra Airport or Dharamshala-Kangra Airport, Gaggal airport is the nearest airport at about 20km from Dharamshala. The airport serves only domestic routes with Delhi being a 1.5 hour flight away. Once you reach Gaggal, a taxi ride to Dharamshala should cost around ₹800. With our time in India running out, we reluctantly left the beautiful Dharamshala for Amritsar – one of the holiest cities in India. I could easily picture being here for a week or two soaking up the fresh air and good vibes. Can’t wait to be back again! Update: We have since gone back to India once again in 2017! YAY! Read up about our great adventures in Kochi, the beautiful city on the west coast of India. Like what you’re seeing? Share, like and follow more of our adventures on Facebook or Instagram! Nice place to visit. Lovely pics. Thanks for sharing. Awesome post. Beautiful pictures. Mesmerizing beauty of the place. Thanks for sharing. Thank you for the blog post, it is very helpful. 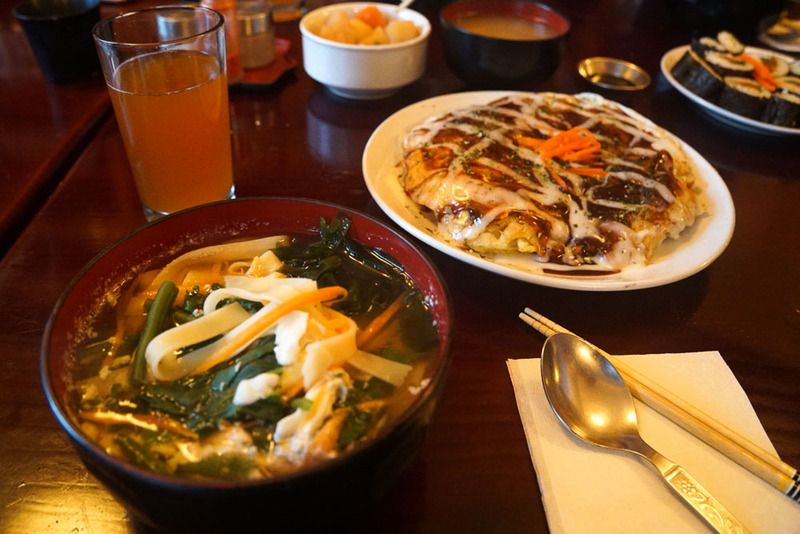 Especially the food part, I wanted to try out some good delicacies of the place. As far as stay is concerned I’m looking for some good hotels in Dharamshala. Can you help?